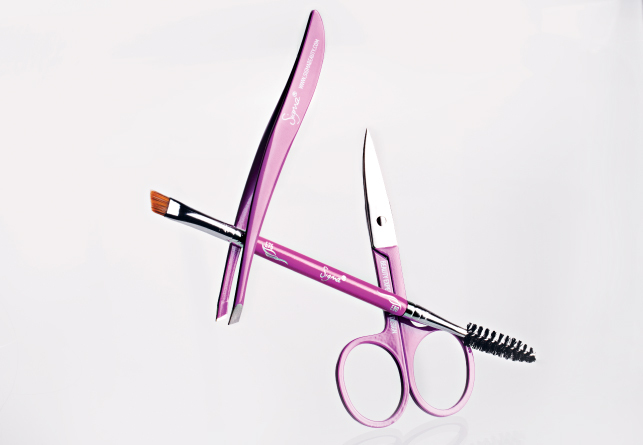 The highly anticipated Beauty Expert – Brow Design Kit was released earlier this week. Today we’re going to give you a closer look at all of the components in the kit and lead you through the process of achieving your most beautiful brows! Brow stencils in small, medium and large. Dual ended brow pencil in medium and dark. Brow pencil sharpener. To shape your brows, choose the stencil that best fits your brow size. 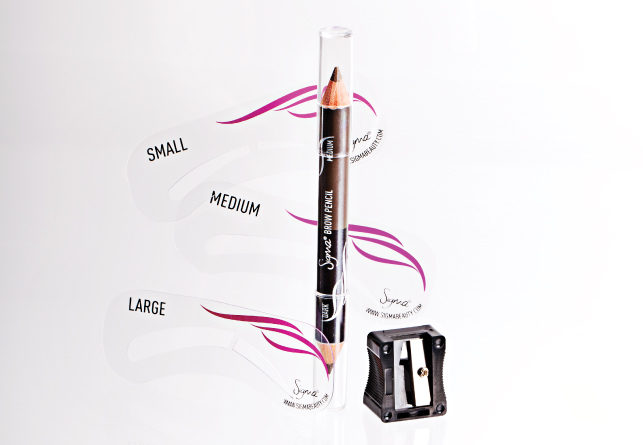 Then, select the brow pencil shade that best complements your look and lightly sketch inside the selected brow pencil. Use the sharpener between uses to ensure a precise application. Now that you have created the shape of your brows, use the tweezers to clean up any stray brow hairs outside of the stenciled shape. With the dual ended brush, use the E80 wand to comb brow hairs upwards and lightly trim any longer brows to desired length with the scissors. 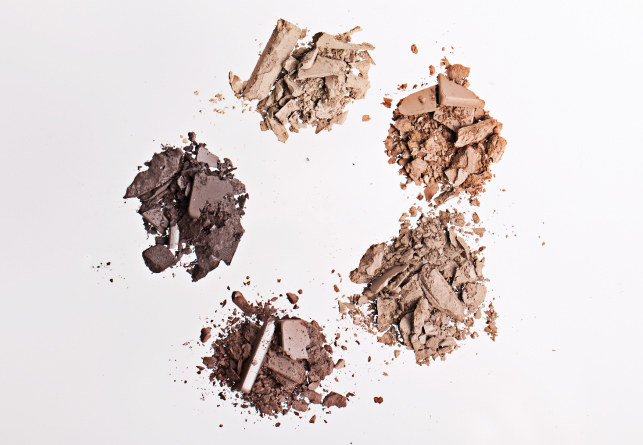 Brow powder shades. Starting from the top center and moving clockwise: Bella, Chloe, Scarlett, Natasha and Valentina. To define your brows, select a brow powder shade of your desired intensity and apply with the E75 brow brush. With the wide range of colors available in this kit, you can create a variation of styles and brow looks. Dual ended highlighting pencil in matte and shimmer shades. Dual ended brow gel in clear and tinted shades. Choose the matte or shimmer shade from the highlighting pencil to accentuate your brows. Apply a small amount onto the brow bone and blend evenly. To complete your look, select the clear or tinted shade and lightly brush the product the through your brows. 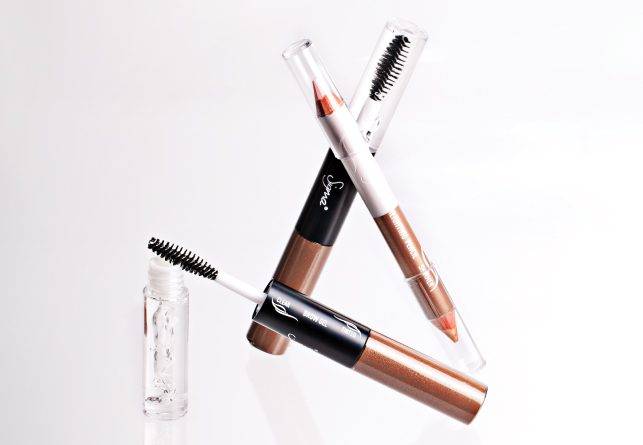 We hope that you’ve enjoyed this inside look at the new Sigma Beauty Expert – Brow Design Kit! This kit truly contains everything you need to perfect your brows, making it a great product to market as an affiliate!